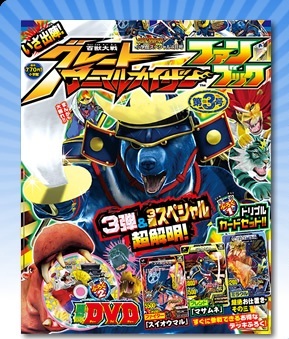 The 3rd issue of the Great Animal Kaiser Fan Book will be released in Japan soon. This issue will introduce all the cards in GAK Version 3. It also come with a free set of promo cards and a DVD.